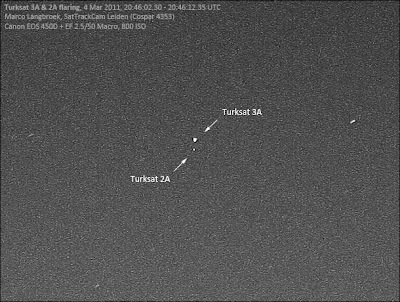 (2) just before that, they can flare brightly (sometimes to naked eye magnitudes). Last two evenings I spent some time photographing the relevant part of the geostationary belt, using the EF 2.5/50mm (24 x 18 degrees FOV). 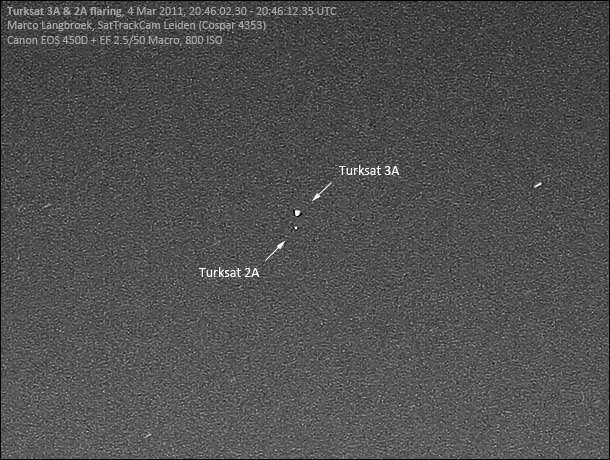 Normally, this lens has too small an aperture to capture geosats (with the exception of the very bright Mentor's). But in the geosat flare season, scores of brightening geosats turn up on the images! The "wobble" of W7 is not real, but an effect of small changes in the camera tilt over the series (sorry, tripod was on a bumpy field of grass).